Wow. Is it just me, or is that braided stuff a PITA to work with? I just can't seem to get even just one lead through without it fraying, even with using the shrink tubing. So,how important is it, really? Can we do without it? Tape the end of your wire to that and drop that through the piece. Also I wouldn't touch the shrink tubing until all your cable is through and all of your lengths are met etc. I don't think it is important at all I've seen people who didn't even use the tracks.. but it is a lot nicer and cleaner I took a few hours to make my cable management very good so I can trace a line with my eyes from across the room even. It just makes it very easy to troubleshoot if something goes wrong. Perhaps one of you fellas would be good enough to explain how, even without the braid, one threads this through the braided harness and cable chain? This is yet another example of the utter debacle of this kit. From incorrectly cut ACM components, to holes drilled in the wrong spot or at the wrong depths, to missing screws and nuts, the overall experience of this kit has been abysmal. Folger should be paying ME to put this thing together. It is SOOOOOO easy to do that. easy to show but difficult to explain. I use that stuff everywhere in my printer. Probably I should make a short video. The trick is to do this at the start and put the connector in it. Best to put a small piece of tape around the open end of wires. Then you can shift it through the harness by pushing and stretching. Secure both ends with a tiewrap. You're missing my point. There's no way to fit the wiring through the cable chain with the ends on them. Also, this guy is doing only one wire at a time, not all six or seven. Just tape the start. I don't use the cable chain at all. Everything goes through this kind of harness to the printhead. even my filament. The way I have done it is to tape the wire bundle together at one end and start feeding the braid over it. Push the braid onto the end so it expands and moves onto the wire bundle. Keep working it along the length of the bundle until you get it where you want it. Check it out from about 0:40 onward. Unless you heat-seal the ends of the braid as you cut it, it is going to fray (and maybe even then). There isn't much you can do about that other than to be sure to cut the braid maybe an inch too long on each end and trim off the frayed ends before you apply tape or heat shrink over them. I have several rolls of braided wire covering in differing diameters in my workshop and use the stuff all the time (mostly on cars). It's not that bad to work with once you know the trick. As for getting it into the e-chain, run a single wire through the chain, tape the end of it to the taped end of the wire bundle, then pull the wire through the chain working the bundle along with it. 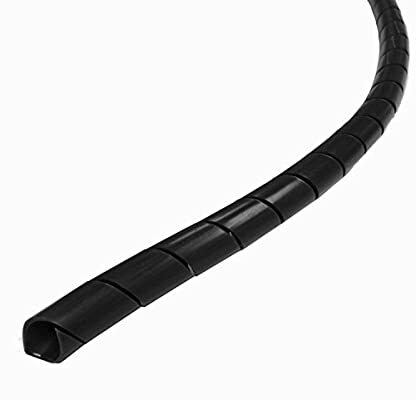 This is like snaking wires through conduit or walls for home or office wiring. 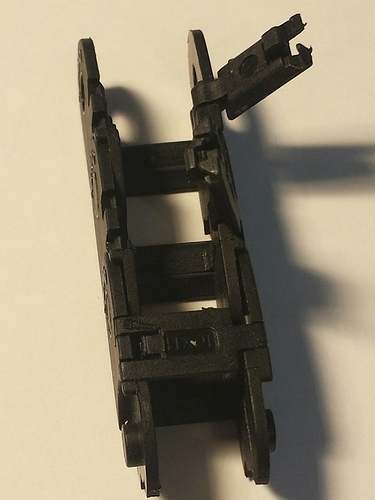 I share your frustrations on this kit, believe me, but other printer kits are as bad or worse for their own reasons. And yes, you have to take off the connector shells when doing this. Mostly the stepper one. 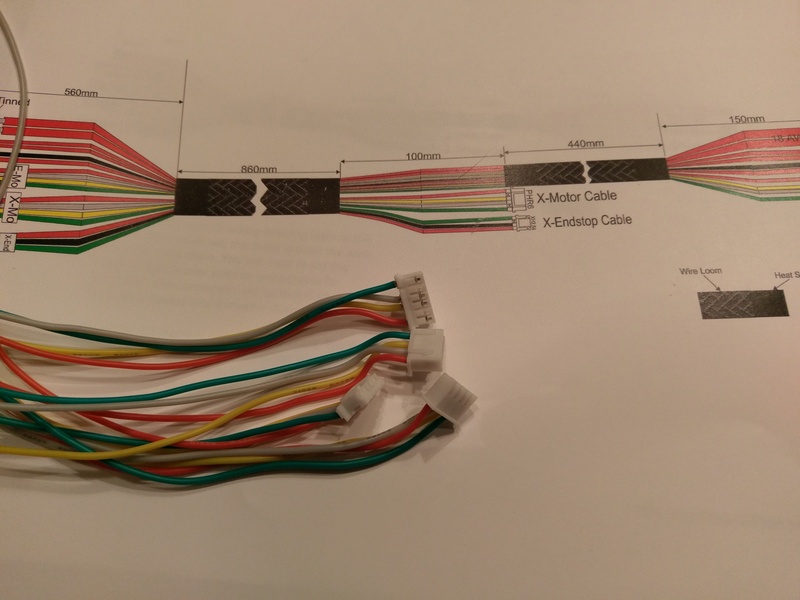 The problem is that the leads have molex connectors pre-installed on BOTH ENDS, and the molex connector will not fit through the cable chain. Yes, remove them from the end you are threading through the chain only. It is not necessary to remove them from both ends. BTW, my cables were supplied from FT without the shells installed (crimped pins only), which actually makes sense. Still, I wish they would have used larger e-chain. That woulda been some handy information to have in the manual. It seems that the manual is changing to correspond to parts, but the parts are changing on the fly. Bad ju-ju. Agreed, I have lots of frustrations with the manual, but also know that @csorrows is working hard on improving it, and we should all thank him for that. The latest versions are vastly improved from earlier ones. As for build consistency though, that is a problem that FT desperately needs to address. It is indeed bad ju-ju. Y'know the one part that's really missing from this kit? The F'n crystal ball you need to have so that you can read Fulgor's mind to just know what these guys were thinking. So, yeah. Didn't know the cable chain could do that. Another item that'd be great to have in the G-D manual. @tvdad hahahaahaha...... mine does that wow I wish I knew that. I think I've found the solution. Gonna order some of this stuff up from Amazon. I'll do the build now without, and when it arrives, I can always add it later. That is a good solution for wiring outside the e-chain. When I received my kit they had included a short length of filament. I put that into the braid that contains the wiring for the bed heater. It helps the wire to coil neatly when the heater raises or lowers. I have been making custom PCI-E cables for my mining rig. I sleeved them in this same stuff. I simply melt the ends with a lighter a bit then feed them through. Makes it so much easier. If you don't melt it too much, the end will even still expand. Good luck.